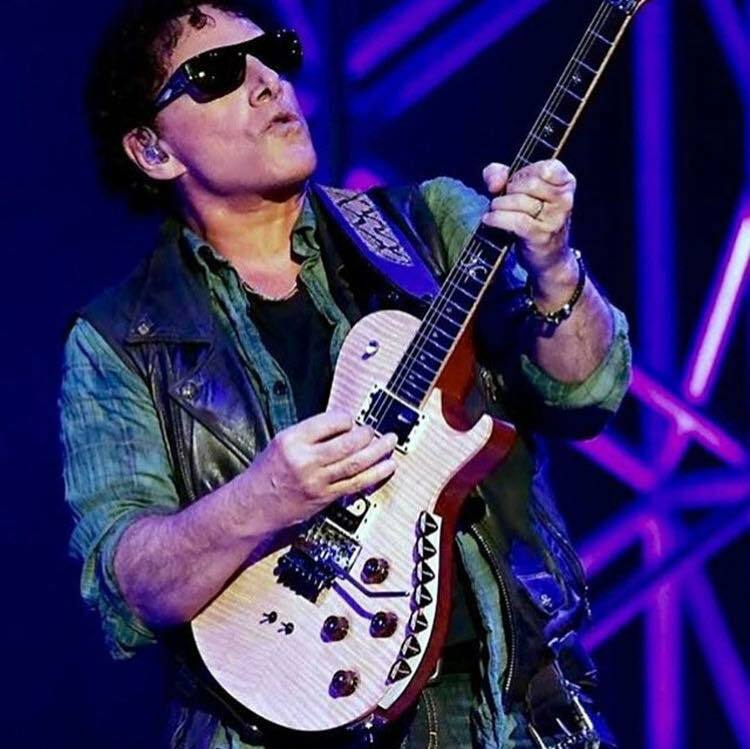 Guitarist Neal Schon and his wife, Micheale, have filed a lawsuit against concert promoters Live Nation over claims that she was violently assaulted by a security guard at a Journey show in Indiana two years ago. The alleged incident – which the couple says took place at Allen County War Memorial Coliseum in Fort Wayne, IN on March 14, 2017 – reportedly occurring during the confetti drop following Journey's performance of "Don't Stop Believin’." While in the pit in front of the stage to take photos, a security guard is alleged to have confronted Michaele with force in an attempt to clear the area, despite her activity in the space throughout the show. "Every year, for nearly a decade now, I've been at every show with my husband,” explains Michaele, “and I take video footage and pictures – behind the scenes, the shows, and even our days off – that we share with friends and fans around the world. The fans are so kind and thank me for the videos of Neal and Journey and all of our adventures. “Journey's security reviewed the venue's security tape,” she continues, “and the entire incident was recorded; the approach, attack, security coming to help me, everything. At the end of the tape, you see one of the security guards position him against the barrier and later remove him from Neal's protected area while I'm running off because I did break down crying. "Since going public, everyone has been asking, why did it take two years? That's simple: management told us to not worry, to not say anything, and that they would take care of it. For over a year, we were strung along believing that it was being pursued, with [former Live Nation executive chairman] Irving [Azoff] telling us repeatedly that he had it under control. Then the tragedy of my mother's injury and subsequent entrapment in a horrific situation consumed our lives. For the next 18 months, we were fighting to save my mother's life from the corrupt Virginia elder care system; that was our focus and we succeeded. We restored her life." The alleged incident was captured on video, but the couple says that footage later provided by the venue shows a 20-second gap from the moment of the assault to the confrontation of an ESG staff by Journey's security and fast retreat off camera by Michaele (see video below). "After 50 years of performing professionally, I have never seen anything like this before,” says Schon. “My wife has toured with me for every show for nearly a decade and now this happens. It was definitely intentional that they targeted my wife and I to inflict pain, fear, and hurt as a way to scare her. What is even worse is that I don't believe anyone believed that my wife was seriously, mentally or physically, harmed by this incident, even though she has been diagnosed with multiple sclerosis since 1993. Then Irving Azoff suggested we go to his friend, a doctor in L.A. Dr. Hart did testing on Michaele and said he could definitely see the newly developed lesions on her brain, which were due to the trauma from the attack that she sustained. This wasn't a momentary event, it's something that will follow her." "What's even more compelling,” he adds, “is that our head security guard, Leo, removed the assailant and then informed me when I got off stage. I was in disbelief and instructed Leo to get the tape from the venue and watch it. He said he did and it was all there, yet when we got it, there were clearly 20 seconds edited out. When I wrote back, I asked where those 20 seconds of footage went, I was told, 'Oh, that must've been a glitch.' But there's no other glitch in the whole hour-and-a-half performance. Just right when the incident happened. It was obviously edited, as anyone can see." Named in the suit are Live Nation Entertainment, Inc and Live Nation Worldwide, Inc. Page Six reports the Schons are suing for assault and battery and intentional infliction of emotional distress, claiming that the guard’s behavior caused Michaele “mental anguish, mental trauma, humiliation, mortification, fright and indignity,” while also claiming that his actions triggered a pre-existing health condition. In a separate filing, the venue has denied all of the allegations, while the security guard filed his own papers, claiming that Michaele “attempted to enter a restricted area for reasons unknown” but he did not attack her. The case is still ongoing with a hearing set for November. On March 29, Journey will release "Live In Japan 2017: Escape + Frontiers", which captures a special performance at the famed Budokan in Tokyo.